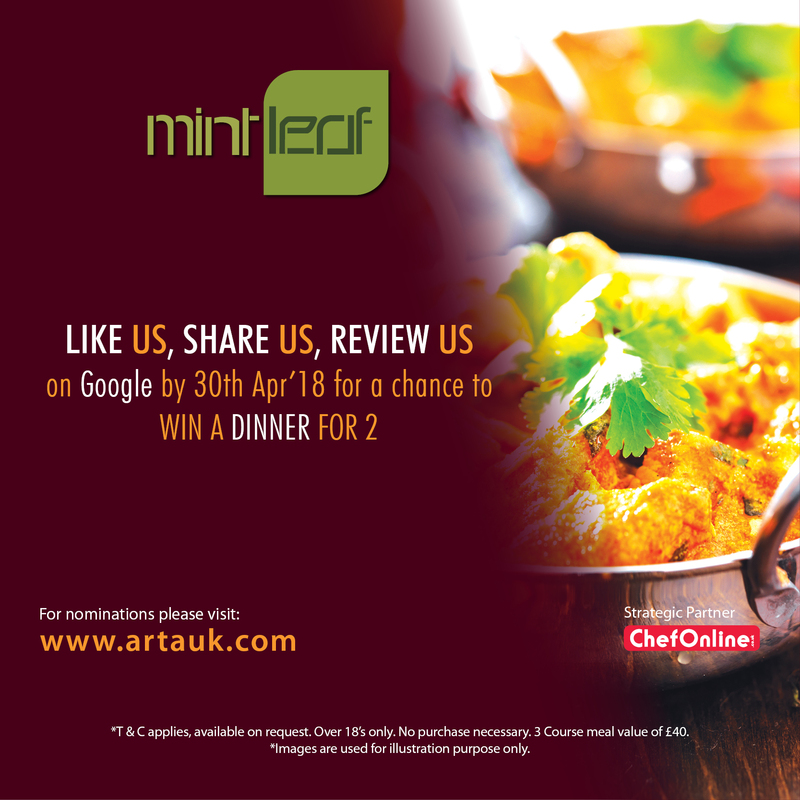 The Mint Leaf has been ranked as one of most popular Indian cuisine takeaway in Bishop's Stortford CM23 3DH serving the freshest ingredients and spices for achieving the best flavours for your taste. 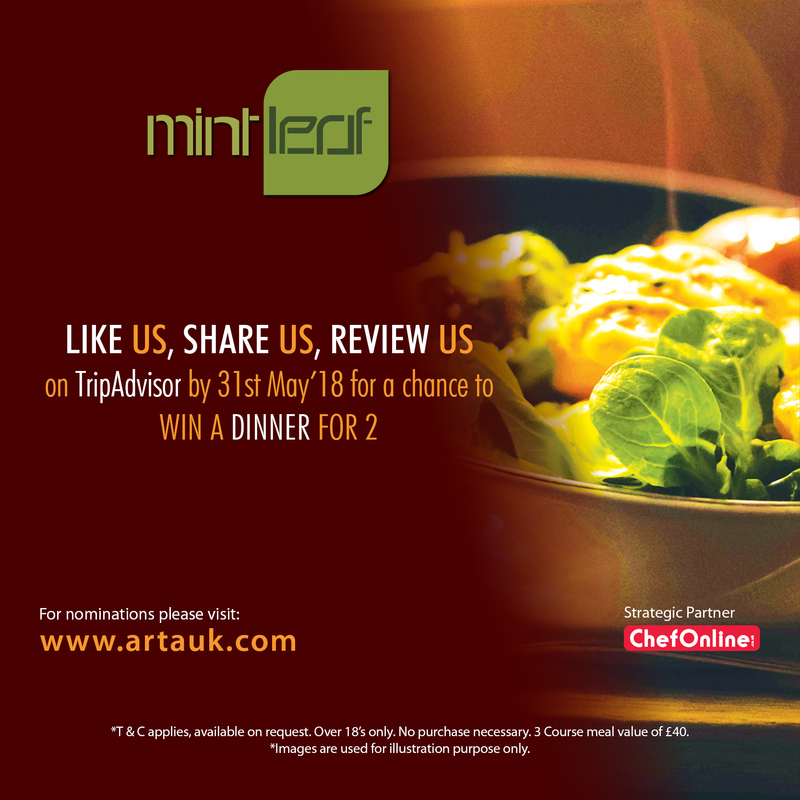 We take a great deal of care to our customers and provide quality food, professional & courteous service and an excellent dining ambience to make The Mint Leaf an unforgettable experience. 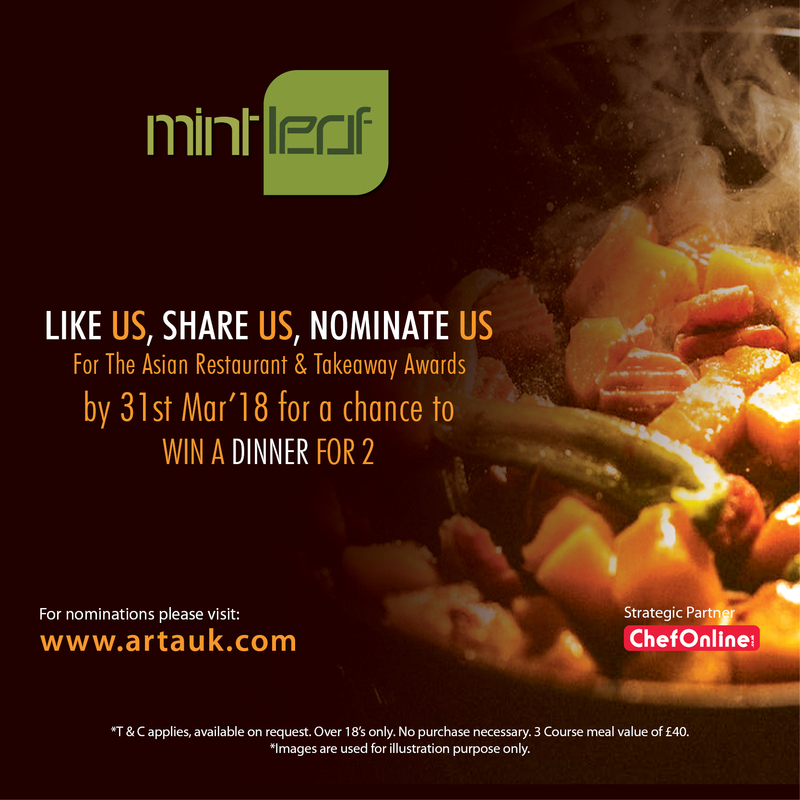 By nominating Mint Leaf, you will automatically enter ARTA 2018 Grand Prize Draw in addition to all our monthy prize draw.